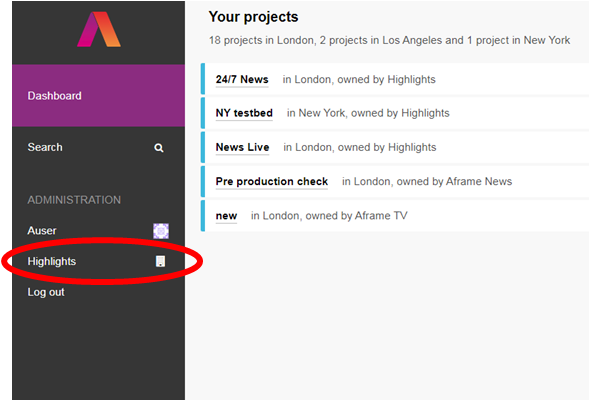 To access projects and secure links on Aframe you require a user profile. There are three ways in which this can be done (depending on access level). 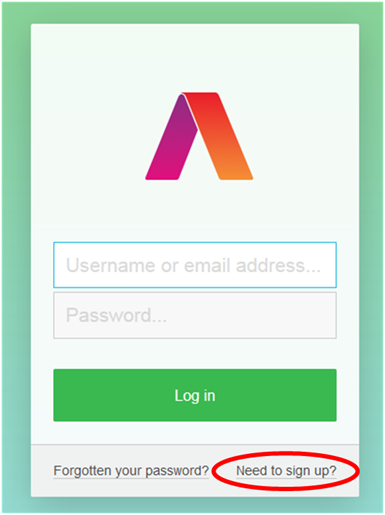 The first is via the Aframe login page at https://app.aframe.com/login and is available to all. email address, username, password, first name, surname, country, mobile number. The second method of creating users can only be completed by account or organisational administrators (and the organisations feature is enabled on your account). Select the organisation and you will be presented with extra menus that allow you to manage projects, users and groups. This is all explained in this article. The minimum requirements to create a user here are username, firstname, surname and password (no email or contact number (unlike signing up via the login page). 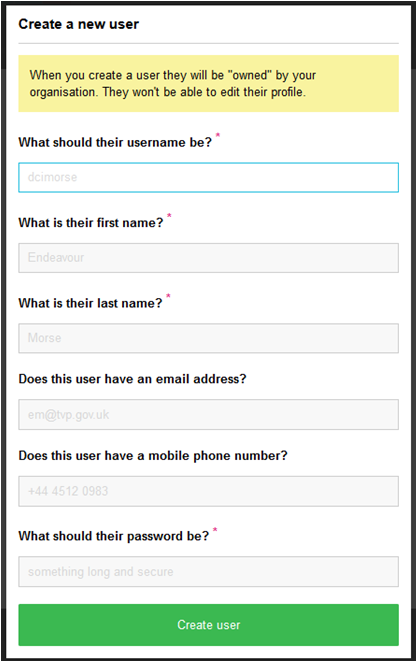 Creating a user here means that they are managed by your organisation, the user cannot change the personal details within the profile. They can change the password but your organisation has control of this, so if you want to change the password or other details, you can do so within the &apos;User&apos; area of the organisation - see this article. 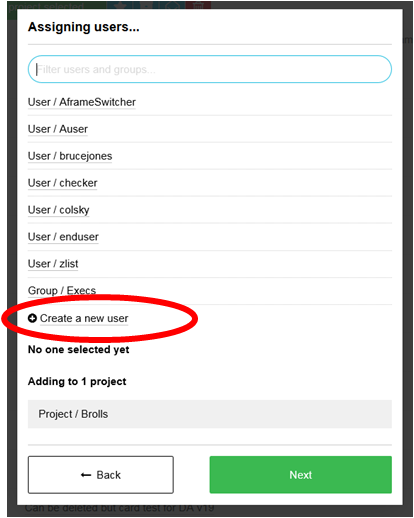 The final way of creating a user is for account and organisation administrators, done during assigning users to a project. When you follow the process of adding members to a project, you will be asked whether you want to invite someone or assign them straight to the team.